The Corvette Racing program looks to be adding celebrated open-wheel driver Simon Pagenaud to its roster, as multiple sources have commented to Racer that the Frenchman will be joining the Corvette Racing team for Rolex 24 at Daytona and 12 Hours of Sebring. The 30 year-old French native finished fifth in the 2014 IndyCar standings, driving for the Honda-powered Schmidt Peterson Motorsports team. For the 2015 season, Pagenaud joins Roger Penske’s Chevrolet-powered IndyCar team, which further substantiates the rumor of him joining Corvette Racing. 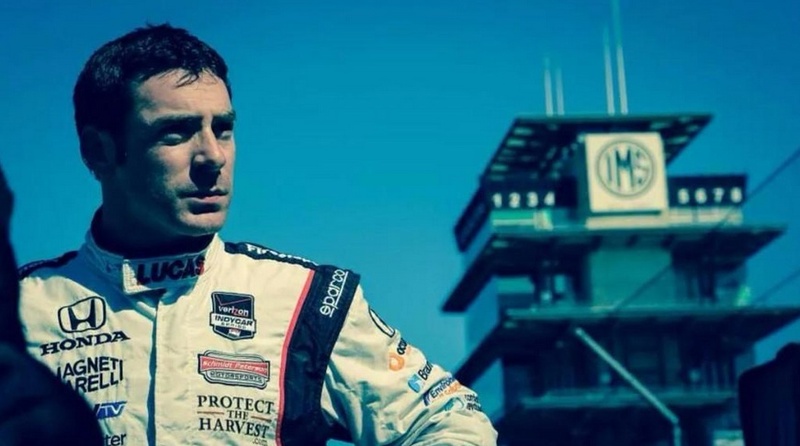 It’s thought that Pagenaud will participate in the first two rounds of the North American Endurance Cup, his IndyCar contract leaving full-time commitment to Corvette Racing in limbo for the time being. Since 2008, Pagenaud has been a part of numerous factory racing programs including those from Acura, Honda and Peugeot, thereby establishing his pedigree in professional racing. And as he settles in with Penske Racing, having a side gig with Corvette Racing doesn’t seem to be too bad of an idea. Pagenaud’s Twitter feed has no updates on the rumor, and he was not available when Racer reached out to him for comment; neither were representatives from Corvette Racing. Stay tuned as the story unfolds.